The 6th day rental is offered ! BISANNE 1500 Ski Rental - ALTERNAT'HILL Ski Hire : book your ski and snowboard equipment online ! You will have the best prices : up to 50% off on your equipment. Specialist ski and snowboard rental and sales of technical products for the practice of winter sports and mountain . From intermediate to expert, we have a wide choice of ski or snowboard equipment selected from the best brands . The ski park consisted of new skis . We offer Carve, All Mountain, freeride, freestyle and cross country equipement ! Choice, advice, professionalism, our team will share his passion for snow and guide you to your rental ride equipment. 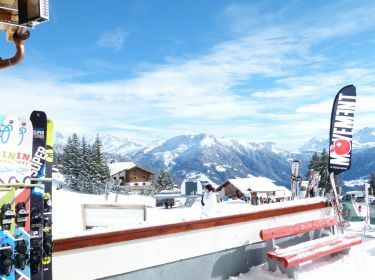 By booking on our website, you can make up to 50% savings on the rental of ski equipment and snowboards BISANNE 1500 . Hire, Sale, maintenance and repair of all your ski equipment. Do not hesitate to come and rent your equipment at the ALTERNAT'HILL the rental price does not change if you rent 5 days or 6 days! Do not hesitate to come and rent your equipment from Saturday morning because the price does not change for 5 or 6 days rental ! !